It often happens that the house is the old jeans, throw a pity, but wearing no longer want. In such a situation there is a way. 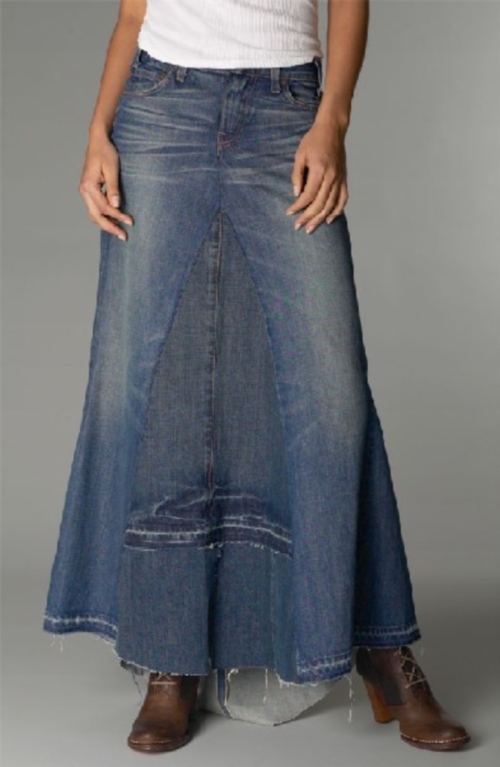 Jeans can be quite easy to alter the skirt. So, how to do it? 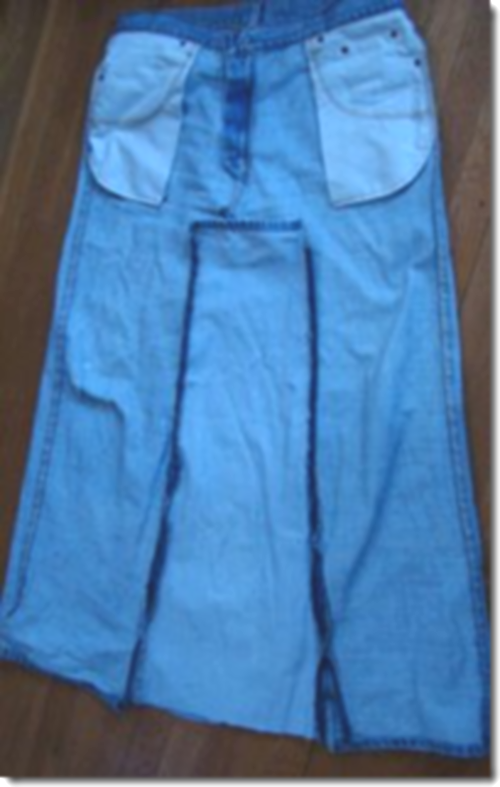 In order to sew a skirt out of old jeans, you need jeans (two pairs), needle, thread, sewing machine, scissors, special aprivately. Take two pairs of old jeans. One pair need the inseam to strut. Use for these purposes a special aprivately. From the second pair just cut of the trousers. Remove all of the seams. Now you need to determine what length you want to make a skirt. Once you have decided, fold the jeans pant leg to pant leg, and then with chalk mark the desired length of the skirt. Cut off all the excess with sharp scissors. Then to the reverse side to the ripped jeans need to tack strip, resulting from the leg. This procedure must be done with the front and rear of the appliance. The result is a preliminary “draft” of the skirt, as pictured. If the workpiece you are satisfied, trim the hem and sew it all on the sewing machine. Skirt ready! Remains only a little to decorate it. To make the skirt more interesting, you can use regular hobby knife to give it a slightly worn look. You can also get the effect of a fringe. This little fan the lower part of the product. If you only have one pair of old jeans, don't worry! You can make as a mini skirt. Chalk we need to identify the line defining the length of the future skirt. 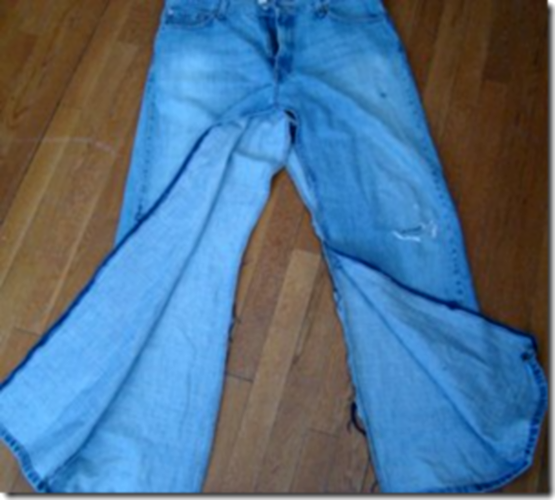 Then cut along this line jeans. The seams on the inner side of the product disposal. Now baste the top two halves, and then the bottom two. Align the bottom of your skirt. Sew on the sewing machine. Skirt ready! If desired, it can be decorated with decorative inserts from a fabric of a different structure and a different color. Pockets can be sheathed in shimmering sequins or glue rhinestones around them. In addition, you can focus on the exquisite strap.